Edelman have released the 2015 Trust Barometer, subtitled Trust and Innovation. The theme of the 2015 study is Trust and Innovation, drawing the links between current levels of trust, rapid change, and the challenges presented by low trust and rapid innovation. We live in an era where trust must be earned and not managed, where the microscope for transparency is constant and where business must listen and measure the interactions, intentions and sentiments of shareholders. At the same time, the need and capacity for innovation that solves and disrupts has never been greater. Read more about the trust survey at the Edelman Trust information centre. 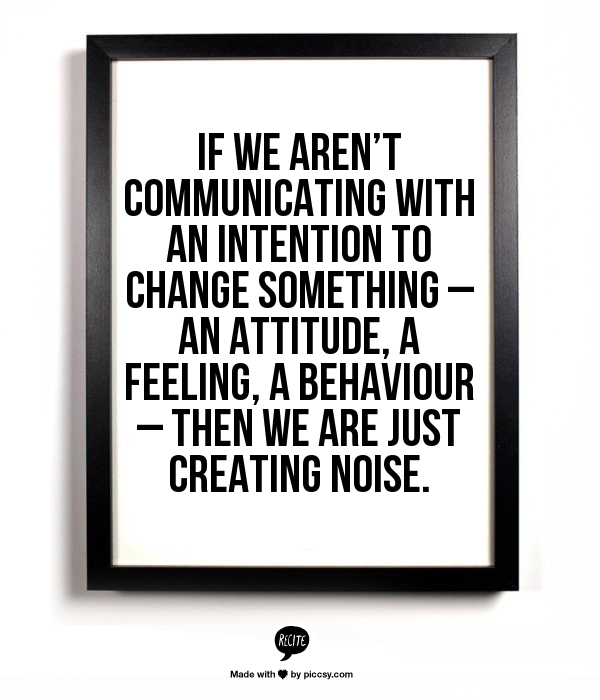 Communication professionals are in the business of change. We design campaigns to understand perceptions and attitudes. At our best, we can contribute to shifting understanding, increasing awareness and influencing intentions. Intent is key for internal communication. We communicate to create change. And yet, when it comes to the processes of managing change within organisations, the world of communication and the world of change can seem like different planets. PR – particularly when not in-house- is frequently a short-cycle activity. Communicators get in, understand a problem, an issue or a stance, manage our campaign, and then get out again. Three years ago, I was facilitating a discussion with communication professionals about the differences between internal communication and external communication, and why specialists in the two fields don’t always see eye to eye. One very experienced practioner summed up the challenge well. At the risk of making broad generalisations, he indicated that external comms practitioners are adept at short cycle communication, deep diving into an issue as required, working with the news cycle and then moving on to the next issue. By contrast, he felt that internal communicators may be used to longer time scales for achieving changes in culture or engagement, looking holistically at the interdependencies and ongoing employee experience. Historically that may have been correct, but communicators need to be agile when communicating change internally and externally. This means being adaptable and responsive to circumstances that may be constantly evolving. It requires communicators to be active agents of change. Organisational development and transformational change, process change, operational change management: each are different varieties of change that rely on different communication methods and approaches. There is more to managing (most types of) change than communication alone. Understanding the key steps in the change management process, the different types of organisational change, and the key roles for leadership, communication, training and even HR, helps create the partnerships that lead to effective change. We explored these ideas and more in the PRIA webinar, The Business of Change, The Art of Communication on 14 November. PRIA members will ion be able to access the webinar recording, and the slideshare is available. In the session, we defined and aligned approaches to change communication for in-house practitioners working on major projects, PR and comms professionals who are part of an agency response to change, or even managing changes in your own business. 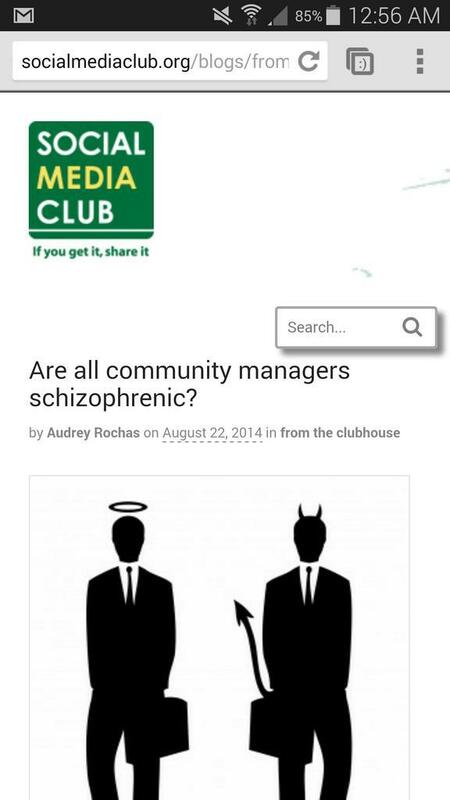 Update: Following the publication of my article, there was formal contact from Social Media Club apologising for the post and acknowledging that appropriate action would be taken, and the original post by Audrey Rochas has been removed from their site. As a communicator, I am interested in community management, effective use of social tools such as Twitter to build awareness and drive engagement. As a human, I am also interested in social good, including mental health. I have family members who have experienced a range of long and short term mental illnesses, have lost extended family and friends to suicide and my partner works in mental health education. It’s kind of a vested interest, and as such I care about representations of mental illness online, in the arts and in the workplace. So my ire was already rising when I clicked through to the article, which perpetuates the ‘mutiple personality’ myth of schizophenia throughout. Most offensive however, was the accompanying image of the ‘angel and demon’. There is a long history of equating mad with bad, which goes a long way to contributing to the lack of awareness of mental illness, the perpetuation of outdated knowledge and stereotypes. Am I overreacting? Considering Social Media Club positions itself as an organisation that promotes good online practices, and has over 150,000 followers on Twitter, and 42000 likes on Facebook, it has a substantial potential reach. As people working in communication, marketing and social media, there is a responsibility to perpetuate constructive and factual information. If there was an editorial process for inclusion of material on the blog, it has clearly failed to pick up the tone and issues relating to the post. Comparing to ‘normal’ people is only one of many issues with this post. If substantially more established communication organisations like Edelman can make errors of judgement when it comes to discussing mental illness and mental health online, it is understandable that a content engine like Social Media Club is going to struggle from time to time. For information on effective social media practices relating to mental health and mental illness, here are a range of resources that will help social media professionals and community managers. An Australian initiative to support positive communication of mental health and illness in media, the arts and online. This is only a small selection; there are extensive resources available. Is my response disproportionate? Perhaps. But this is an opportunity for Social Media Club to demonstrate their degree of thought leadership and practical steps to rectifying issues online when they occur. 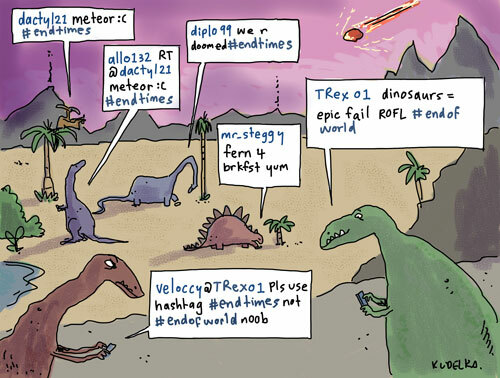 What an ironic place the social web can be. Only a few tweets further up their timeline is a post on managing a social media crisis. If expertise is demonstrated by actions rather than rhetoric, it will be interesting to see how Social Media Club addresses this issue. If you are a member of Social Media Club, I encourage you to contact them through your chapter to raise awareness of this issue. Postscript: As of the time of posting, the offending site appears to be down. The headline is deliberately controversial. I read on. The link is to an article by Jessica Miller-Merrel, in which she clearly outlines the way in which different functions contribute to the reputation and communication context of organisations. However, there is much in the article to fuel the mutual mistrust between these areas. And that has to stop. Thanks to Jessica for a good article, even if a little sensationalist in tone. I hope it is the last. There is so much hand-wring, introspection, flinging of grenades across the invisible walls (or actual cubicles) in companies. This spills over to the blogosphere. Most of the thousands of ‘hammer HR’ or “pound PR” posts seem to originate from people who have had a bad experience within an organisation, but have been unable to effect change. And, let’s be honest. While that happens sometimes, there is a better way. * OD think this is a cult. * [Insert function] people fail to unable to develop professional partnerships effectively with internal stakeholders. * PR people unable to develop whole-system thinking, based the myth that they can ‘control the message’. * OD/Change commence a change that is unsustainable or has insufficient sponsorship to stick, subjecting employees to unfair uncertainty. * HR people unable to quantify their deliverables in language that speaks to the business. * The IT solutions blow out in terms of time or budget. Before perpetuating the divide consider these ideas. If the energy that was spent on sustaining energy and battle around these self-created issues was spent on improving the business, imagine the value that could be created within organisations. Spend the time that it takes to read a post critical of another professional discipline on reading one about a business that has developed an innovation program without boundaries, or the business value of collaboration. Spend the time it takes to write a sh*t-mail to your colleagues ‘over the wall’ to rethink perspectives. What can you do to align perspectives? At its worst, the tension between these functions is neanderthal stone throwing. Territoriality and an inability to adapt will be the death of any professional species that is unable to continue to transform: to integrate, collaborate and create new value in business. This is the time to evolve into a hybrid species: professional disciplines that can work across boundaries, can focus on the larger goal, who find new ways of creating value (outcomes) together for the benefit of the organisation. Are you choosing evolution or extinction? I have a lot of time for Ragan’s range of communication publications. I have picked up a lot of tips over years of subscription (anyone else remember the mustard colour weekly paper mailout?) and I’m sure Mark intended generating a great discussion with this tweet.